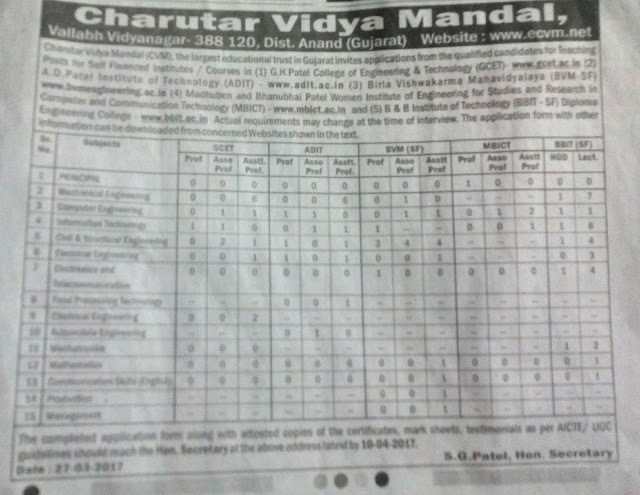 Organization : Charutar Vidhya Mandal Vallabh Vidyanagar (CVM) (Anand). POST : Various Teaching Post. Jobs Location : Vallabh Vidyanagar.